You are welcomed to experience and learn about the traditions, history, culture, language and stories of the Stó:lō People. Explore the magnificent Stó:lō-Coast Salish traditional territory. Stó:lō territory is a cultural treasure within the Fraser Valley and into the Canyon, surrounded by majestic mountains and centred around the Fraser River. Discover the stories and Hal’qeméylem place names. You can view cultural artifacts, hear our oral history that supports our Stó:lō traditions, visit our newly renovated interpretive centre and learn about our history and region, visit our longhouse, walk through the Coqualeetza grounds and explore our newly installed educational kiosks, shop and enjoy traditional artwork, and meet the people. SPECIAL SUMMER TOUR SERIES DATES: WED., JUNE 19, THURS., JULY 4, TUES., JULY 23 AND AUGUST 22. 10:30AM-NOON. SPECIAL RATES: ADULTS: $20 AND CHILDREN/SENIORS: $10 - ALL SIZED GROUPS AND AGES ARE WELCOME! SPECIAL SUMMER TOUR SERIES DATES: TUES., JUNE 4, WED., JULY 17, AND THURS., AUGUST 8: 10:30AM - NOON. Email: stolo.tourism@stolonation.bc.ca or phone: 604-824-3211 to arrange your guided grounds tour. Small and large groups welcome. Explore the cultural landscape of the beautiful traditional Stó:lō territory with Naxaxalhts'i, Albert (Sonny) McHalsie. Naxaxalhts`i is currently the Cultural Advisor and Stó:lō Historian for the Stó:lō Research and Resource Management Centre. Naxaxalhts’i has studied Halq’eméylem place names for 21 years. Naxaxalhts`i will narrate the land – telling the Sxowxiyám and Swelqwels, the legends and the true stories, that give shape to the Stó:lō culture, history and people. Listen and learn about the unique relationship that the Stó:lō, “the People of the River”, have with their land and their environment, through the narratives provided by Naxaxalhts’i, who has studied Halq’eméylem place names from fluent Halq’eméylem speaking Elders for over 30 years. Experience the special significance of Halq’eméylem place names from the award winning book, A Stó:lō-Coast Salish Historical Atlas. Learn the three main dialects of the Halkomelem language, the two main aspects of Stó:lō oral history, Sxwōxwiyám and Sqwelqwel, and the special connection Stó:lō maintain with their environment through their Shxwelí, or “spirit, life force”. Enjoy the majestic mountains and waterways of S’ólh Témèxw, “Our Land, Our World”. SPECIAL SUMMER TOUR SERIES DATES: SAT., JUNE 1, SAT., JULY 20, SAT., AUG 10, WED., AUG 28 & SAT.,SEPT 28. ALL SIZED GROUPS AND AGES ARE WELCOME! Enjoy the majestic mountains and waterways of the Upper Fraser Valley on a tour departing from Chilliwack destined for the scenic Fraser Canyon above historic Yale B.C. Listen and learn about the unique relationship between the Stó:lō, “the River People”, their land and their environment. Special stops of interests may include the fishing rock known as Kw’ik-w’iyá:la (Coquihalla); the pool of origin for the sacred sxwó:yxwey mask; hear about the s’ó:lmexw or “waterbabies” and the mimestíyexw or the “little people” of the forest; see the remains of a sqémél (pithouse: or in Chinook “keekwillie”) last used in the 1880’s; and see where Xexá:ls the transformers left scratch marks at a place where he did battle with Xéylxe-lamós, an Indian Doctor; hear about the stl’áleqem or spiritual beings. Learn up to 120 Halq’méylem place names including the original names of Lhílheqey for Mt. Cheam, Ts’qó:ls for Hope, Xwoxwelá:lhp for Yale, and Xéylxelamós for Lady Franklin Rock, and many other Halq’eméylem Place Names. Full Day: Begins at 9:00 am and runs for the full day to 4:00 pm with stops of interest and lunch break. (You are welcomed to bring your own lunch or purchase from Hope vendor) Travel from: Chilliwack (SRC) up the valley to Tomtomiyeqw Lookout, Thunderbird Mountain, Kawakawa Lake, Coquihalla Fishing Rock, Telte-Yet Pithouse then through to the Lady Franklin Rock (Bad Rock) in Yale. 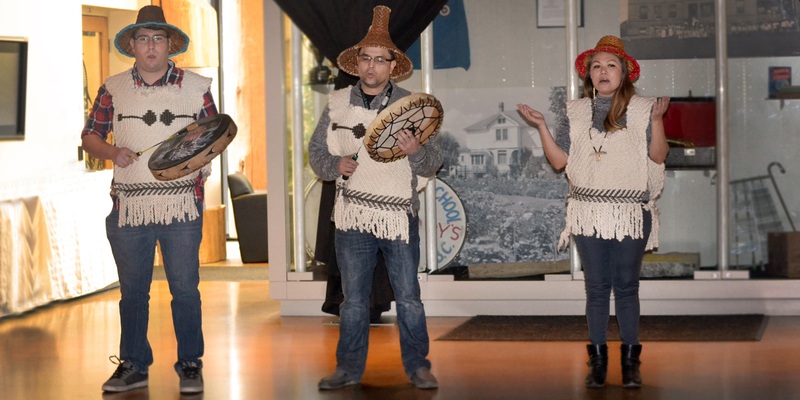 A full day cultural experience along the Fraser River roadways and Canyon regions. Learn over 100 placenames and see the ancient majestic surroundings in whole new world. Discover. Explore. Experience. SPECIAL RATES: ADULTS: $80/EA AND CHILDREN/SENIORS/GROUPS OF 4 OR MORE: $64/EA. Hear about Kwikw’alith’a, Sq’ewqéyl, Ch’iyáqtel, Th’ewá:li and Swílhcha; special stops of interests include Cultus Lake home of a T’liteqo Spá:th (underwater bear);hear about the Barrowtown Pump Station and the the draining of Semá:th Lake; — explore Sto:lo history, culture and archaeology; learn about Xexá:ls transformations like Méqsel, Xá:ytem, Tixwelátsa, Qwél:es, and Chítmexw; hear about the stl’áleqem or spiritual beings. Learn the Halq’méylem place names including the original names of Qoqó:lem for Vedder Mountain, Teq’qéyex for Sumas Mountain, and Xweqw’eyíqw for Echo Island, and many more Halq’eméylem Place Names. SPECIAL SUMMER TOUR SERIES DATES: SAT., JULY 6 AND SAT., AUGUST 24. The newly develop tour travelling through Chilliwack following the Chilliwack River and its creeks and sloughs. This tour will take you through Skowkale and Tzeachten territories before heading toward the Chilliwack Lake. 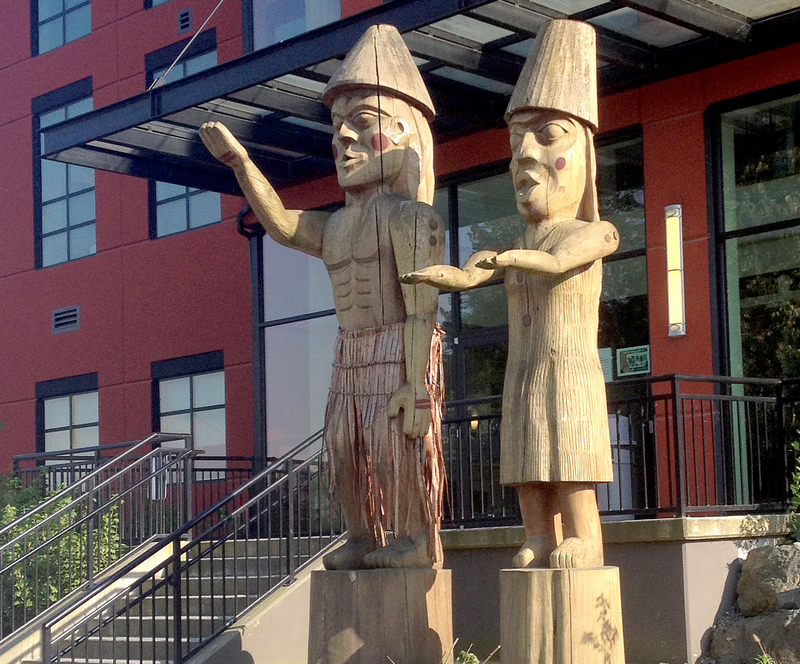 Full day tours begin at the Coqualeetza grounds in front of Stó:lō Nation building #10 located in Chilliwack at 7201 Vedder Road. For your best experience: Dress appropriately (in layers is best) and wear comfortable shoes suitable for light mobility. Don’t forget your camera, binoculars, & umbrella! Lunch and refreshments are not typically included in Bad Rock tours but can be arranged for your group at an extra cost, or you are welcomed to bring your own refreshments and lunch. Note: itinerary can be suited to your group, timeframe and budget.